When people install high quality, big locks on their doors and windows, they feel a sense of security. What they fail to realise is that good quality locks and a high level security system are two entirely different things. They tend to realise this mistake when a break-in occurs despite using good locks. We at CCTV Installation Melbourne provide services to homes and commercial establishments. We make these services available across the region. Our experience of handling security systems over a number of years shows that a well- planned alarm system is an effective deterrent to thieves and helps in safeguarding the property. If you let us know your requirements, we will assist you to improve the level of security on your property. We work out a customised security system plan after conducting a detailed survey of your property. We are equipped with the most updated Alarms Systems for installation that are very cost-effective. An alarm system is a sound producing security device. The local law enforcement authorities get alerted when it goes off due to a break-in. Alarm system devices differ in their functions and forms and the selection of a system depends upon the purpose you want it to serve. In addition to these, there are smartphones and home-assistant accessible smart alarm systems as well as alarms that detect pet movement too. An advanced alarm system is a good deterrent to criminals entering your property. A criminal will need both effort and time to bypass it and will hesitate to take the risk. These installations lend an additional layer of safety to your current security system and gives you peace of mind. 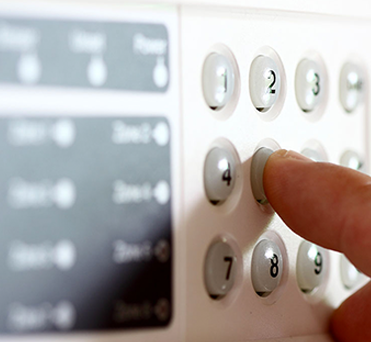 If a break-in occurs, the alarms go off and alert the professionals who in turn alert the authorities. It works despite your absence on the property. This helps to improve the security level on your property. If you need the latest and advanced alarm systems installed on your commercial or residential property, you need licensed and experienced operators like us for the job. For more information about our expert Alarm System installation services, just get in touch with CCTV Installation Melbourne today. You can use our contact us form or call us on 03 8609 6092 and we’ll be happy to answer any questions you might have.